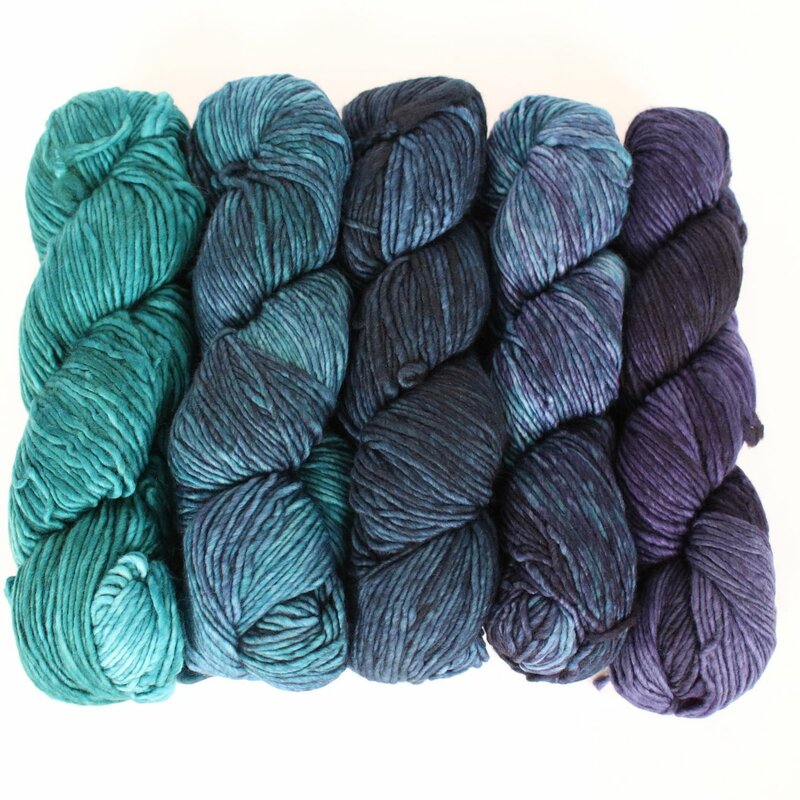 These gradient sets contain 5 skeins of Malabrigo Worsted Merino that gradually fade into the next! Incredibly soft and exquisitely hand dyed, Worsted Merino from Malabrigo is a tried and true favorite. With the subtle variations in color and texture only hand dyed yarns have, plus all the sensuality of a good single ply yarn, you can't' go wrong with Worsted Merino! Malabrigo Worsted Merino Samples Yarn is a similar yarn: merino wool, hand wash, heavy worsted/aran (16-18 sts/4 in), and 100% merino wool. You may also like Malabrigo Worsted Merino Yarn, which is another similar yarn: merino wool, hand wash, and 100% merino wool. Hopefully our suggested project ideas for Malabrigo Gradient Set Yarn can help you come up with your next exciting new project idea!